Here we are in April and more than a quarter of 2019 has passed. I have been trying to get back on my training routine and it has not been easy. I barely made it to 14Km this week. That’s total of 1h and 34m of exercise. A hypothesis is a tentative explanation that can be tested by further investigation. A theory is a well-supported explanation of observations. A rule is a statement that summarizes the relationship between variables. In a nutshell, theory is just a more refined hypothesis and can be disproven. 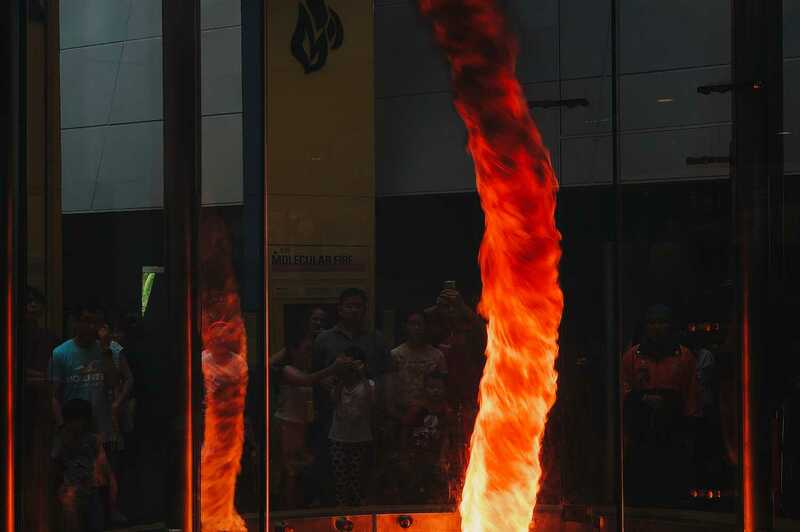 The stealer of the show was the fire tornado (pictured above). I hadn’t seen anything like that before. The tornado was being created by nothing but openings at the base of the fire chamber that pointed in the same direction.